We live in a time when the enlightenment ideas that brought about modernism are being contested. The “we can do it” attitude is coming to an end. In the words of David F. Wells in the book, Above All Earthly Powers, he tells us that there are three fundamental beliefs of the enlightenment “The disappearance of God, the disappearance of human nature, and omnicompetence of the human being (33).” He goes on to tell us that the disappearance of God, was driven by the enlightenment thinkers “opposition to what they saw as superstition (33).” God was no longer needed and we could figure things out on our own was the attitude of the day. The disappearance of human nature was the result of the idea that we have no inherent nature, instead “we must make oneself what one can (52).” As far as the omnicompetence of the human being, Wells tells us “It is rather ironic that these first two themes—the disappearance of God and of human nature—should accompany the third, which is the bloated sense of human capacity (52).” But this is exactly what happened. We came to believe that we could do it all. We could usher in a better world, through the use of science, and know how (read philosophy). But after a couple world wars, epidemics like AIDS, and many other problems we have been unable to solve, we have begun to loose our nerve. All of these things have begun to chip away at our hopes that modernism could solve our problems. So where do we go from here? Where do you go when you start to lose hope? Welcome to the new world, the postmodern world. It’s a world where we cannot figure out everything. In fact we realize now that we cannot figure out anything. People don’t want to hear about the one true truth. They have been let down by modernism which promised that it could be figured out. Now we just need to know what works. The remainder of this post will focus on explaining the Emergent views on such topics as foundationalism, language theory, and some other basic doctrines. It will then look at its destructive effects on Christian doctrine, theology, and evangelism. And will conclude by offering a proper view regarding these topics and offer some final thoughts. One of the main views expressed by postmoderns of the secular and theistic type is that there is no such thing as universal objective truth. Objective truth is truth that is true for all people in all places at all times. The reason they hold this is because they do not think it is possible to know any true thought since all thoughts are language based and all language is contingent. This will be addressed further, but the first attempt they make at discounting truth is by discounting foundationalism. Foundationalism is the belief that there are two different types of beliefs, basic and non-basic. 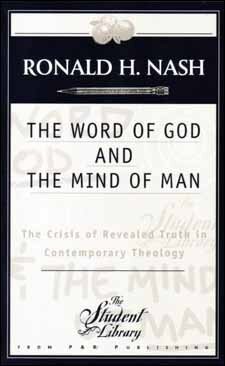 In the words of Ronald Nash, non-basic or “derivative beliefs are those that are grounded on or dependent in some way on more basic beliefs. Basic beliefs are those not derived from or dependent on other belief (Nash, 81).” Foundationalism is the idea that a person’s noetic structure is built from the bottom up. The basic beliefs are those that need no other support in order for a person to be rational and hold them. The non-basic beliefs cannot be held rationally unless something more basic supports them. An example of a basic belief would be that you exist. In order for you to believe that you exist, you do not need evidential proof. Nor do you need to attempt to prove it to someone else. This is a basic belief. A non-basic belief would be something like; God saves those who believe in His Son. This belief is supported by other more basic beliefs like, people exist and God exists. There are two types of foundationalism. Narrow and broad foundationalism as described by Nash, or Cartesian and modest as described by J.P. Moreland in the book Reclaiming the Center. Narrow or Cartesian foundationalism is the belief that in order for a belief to be basic it must have 100% certainty. Nash explains that in order for a belief to be basic according to narrow foundationalism it must meet three criteria. Basic beliefs are “beliefs that are evident to the senses, self-evident, or incorrigible may be properly basic (Nash 81).” This simply means that no belief can be properly basic that is not experienced with the senses of human experience, self evident in the sense that they are seen as true or false simply by understanding them (82), and cannot be proven false. But as Nash quotes Alvin Plantinga when he says, “Many propositions fail the narrow foundationalist’s tests are properly basic for me. I believe, for example, that I had lunch this noon. I do not believe this proposition on the basis of other propositions; I take it as basic’ it is in the foundations of my noetic structure. Furthermore, I am entirely rational in so taking it, even though this proposition is neither self-evident nor evident to the senses nor incorrigible (86).” Broad or modest foundationalism makes room for these kinds of basic beliefs saying that 100% certainty is not needed in order to be a rational basic belief. The postmodern epistemology rejects this type of thinking. They see no difference between basic and non-basic beliefs. First, they do not believe that there is any way possible to have 100% certainty on any belief, and if you cannot have certainty then it cannot be a true foundation. Second they believe that if a belief is not certain then it cannot be basic because it must be supported by some other beliefs. 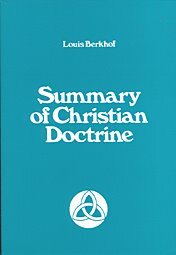 Nancy Murphy a proponent of the postmodern view says that with modest foundationalism we have “foundations hanging from a balcony (Erickson, 109).” What she means by this is that our theory and presuppositions will end up holding our foundations instead of our foundation holding up our theories. This means that our basic beliefs are contingent upon our theories which are non-basic making our basic beliefs non-basic also. The postmodern goes on to explain that since we cannot have any true basic beliefs, foundationalism must be a false system of epistemology. Richard Rorty, a major non-Christian postmodern philosopher puts it this way, “To say that truth is not out there is simply to say that where there are no sentences there is no truth, that sentences are elements of human language, and that human languages are human creations (Rorty, 5).” This is obviously stating that truth is a human creation. We do not have access to objective truth; instead we create our truth with our language. Again truth does not correspond to reality. Rorty goes on to say, “Truth cannot be out there—cannot exist independently of the human mind—because sentences cannot so exist, or be out there (5).” In other words, since there are no true sentences out there in order for our sentences to line up with, then our sentences cannot correspond to the real world. The argument can basically be boiled down to this, that a truth system, or “web” is not founded upon any foundation, instead it is an integrated system that supports itself. But this doesn’t really give us any answers as to what is actually true; it only tells us if our beliefs are coherent with each other. On top of this, if no truth statement can actually correspond to reality, where do we get our stability? How do we know our web is the right one? What is the point of all this? The Church should stop focusing on trying to prove all these independent truth claims as true and let the “web” of Christianity support the claims. Our focus should be to live out our beliefs in our Christian communities and let the Holy Spirit move us toward the eschatological community where we will be able to see what is really true. In doing this we will be boldly witnessing our faith by our lives. We will have a strong body of Christ because we will be less divided by independent doctrines, and we will grow as individuals as we are in this community of Christ and become more like Christ. The relief from always having to try and prove your Christian faith sounds like a welcome idea and the desire to grow into the likeness of Christ in a community that is modeled after him sure seems to be a wonderful aspiration. 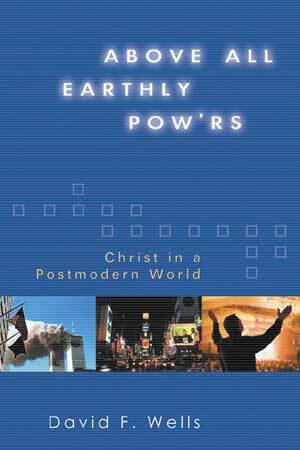 So, should we really be concerned with these postmodern Christians? Should we not join them, and do what Leonard Sweet told us at the beginning of this post? 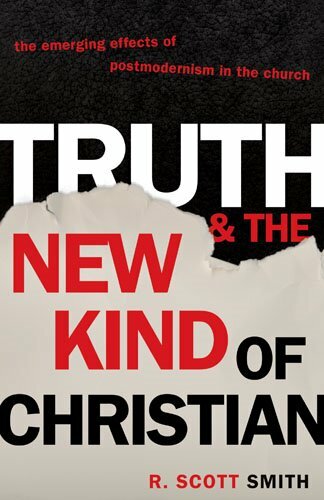 Should we shake free from these modern entrapments such as foundationalism and the correspondence theory of truth and get back to a more “Biblical” Christianity? After taking a closer look at the effects of these theories it will be evident that we should not join them. The heart of their view is that we cannot have access to the real world. Everything we believe is true is really something we have created because of our theories which are contingent upon our communities, which themselves are contingent. Now if no proposition we believe actually corresponds to reality, than nothing we believe is actually true. Then what does this say about all of their theories? What becomes then of all their reasoning for replacing foundationalism, with holism? Doesn’t this just make their own theories constructs that they have linguistically created to make their truth? Are not their theories also contingent upon their presuppositions that they have no rational basis for holding? Their entire system then becomes self refuting. Why should we shift our created beliefs over to their created beliefs? This is the major flaw upon which the entire postmodern theory stands. This forces postmoderns to look to pragmatic results of language instead of whether or not it is true. Pragmatism is the theory that we should do what works. If we cannot know if something is really true, then the best way to judge it is by whether it works or not. The Christian language, according to the emergent church, is the best possible language. Not because it is the one that most corresponds to reality but because it holds together tightly and it works. It works in producing good and not evil. What then does this do to orthodox Christianity and its doctrines? To answer this I will follow the lead of R. Scott Smith and apply their views to a few core Christian Doctrines. Now the objection to these quotes might be raised that postmoderns do believe that God can actually reveal Himself and is doing so. After all they believe that the Holy Spirit, through the narrative of the Scripture is leading them on to the true eschatological community. But the question still remains as to what the Holy Spirit is. Is He something that actually exists in the real world or is it simply the linguistic construct that Christians have created? Also, what is the eschatological community of Christ that we are working toward? Is this not the same, a created linguistic truth? Or is it something that actually corresponds to reality. Either way they answer this question leads them into trouble. If they say it is a created linguistic truth then it cannot be objectively true, and if they say it actually corresponds to reality then they have refuted their own system. Also, if this is the one truth that corresponds to reality then why can’t this be the foundation upon which we can build our doctrine? We also have the problem of which eschatological community is the correct one. Rorty, the non-Christian, also believes we are moving toward a “liberal society” (Rorty, 60).” But the community he is moving toward is not the Christian one. So which future community is the right one, and how do they know this? What do these theories do to the Doctrine of the crucifixion, resurrection, and the atonement? Christians believe that Christ was crucified, and rose for our justification, but these too would be constructions of our language. But do the truths we hold regarding these events actually correspond to reality? To say no is quite damaging to these doctrines because, the truth then is not found in the actual propositions but what they produce in you. So the question must then be asked, does this make all savior stories valid because they move us toward this eschatological community? And which theory of the atonement is really true, the moral influence, limited atonement, or universal atonement to name three? Does it really matter what theory we hold as long as it makes us good community participants? Luther said that the doctrine of Justification is the article upon which the Church stands or falls. But what does the Emergent view of truth do to the doctrine of Justification? Christian’s believe that we are sinful and deserve the wrath of God, and it is only by faith that we can be justified. But if the postmodern view is correct, then justification becomes a truth that we create in our linguistic community, and we cannot know whether or not justification has actually taken place in the real world, or if we are really even sinners. What effects do theses views of language and truth have upon Christian Theology? Besides the main problem that it makes knowledge of God and the study of Him ultimately impossible, because we cannot really know anything objectively true about God, it shifts the focus of theology away from God and places it upon the study of language theory. Much like most liberal schools, they end up talking more about the method of theology than actually doing it. Finally what does this do to the main focus of evangelism through the Christian community which the emergent church so strongly endorses? After all this is one of the attractive aspects of the movement; the idea that we should stop trying to prove that what we believe is true and just live it. 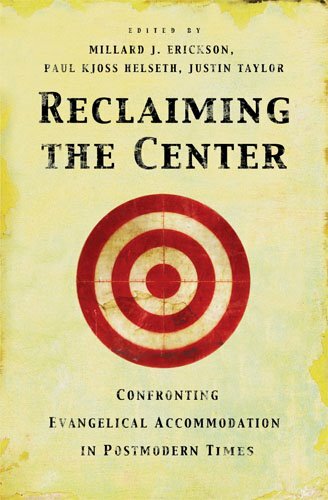 But this involves a major problem because it assumes that the actions of the Christian community can be understood outside of the Christian community and is self-refuting to their own claims (Erickson, 130). It is self-refuting because they believe that people outside of their community cannot understand their language unless they participate in it. Ultimately, true witnessing of Jesus becomes impossible in their view. So how should we look at all of this? Has foundationalism been destroyed? Should we look to Quine’s “web of belief” to understand truth? To look at this let us start by critiquing the coherence theory of truth. So where is the problem with the coherence theory of truth? The problem lies in the fact that it is not grounded to anything other than pragmatism and the ideas of what works are also ideas in their web that are not grounded to anything. To put it another way, there are many free floating webs of belief out there and none of them are tethered to anything foundational. So what do we do with all these competing webs of truth? Is there anyway to get to any kind of neutral standpoint from which to judge? The resounding answer from the postmoderns is no. There is no way to see if one web is better than another, which ultimately leads to relativism. Even if they argue that the truest one is the one that is most coherent in itself. The only way to find out how coherent it is is to become part of every community, learn their language and see which is the most coherent. Since this can never be done, you can never know if your web is the most coherent. One of the main problems with the postmodern rejection of foundationalism is that it focuses only on a specific kind of foundationalism. The attacks that come upon foundationalism always focus on Cartesian foundationalism, which is the idea that you must have 100% certainty to be a basic belief. On top of this, most philosophers who promote this type of foundationalism are empiricists. The problem with this is that this is not the type of foundationalism that is held by many theologians or lay people in the church. What is held today is more of a modest foundationalism. 100% empiric certainty is not needed in order to have a real foundational belief. Not to mention the criteria for certainty is rarely discussed. It is simply assumed to be scientific proof (read empiric). If the Bible is true then there are things we know, and we know them certainly. For example Romans chapter 1 tells us that all men know that God exists, “For the invisible things of him from the creation of the world are clearly seen, being understood by the things that are made, even his eternal power and Godhead; so that they are without excuse: Because that, when they knew God, they glorified him not as God, neither were thankful; but became vain in their imaginations, and their foolish heart was darkened.” The problem is not with foundational knowledge, it is with our sinful nature which does everything it can to suppress the truth in unrighteousness. Scripture tells us on many occasions that we “may know” that the son of man has the power to forgive sins (Matt. 9:6; Mar. 2:10; Luke 5:24). The scriptural language seems to say that we can actually know this, and do not create it in our linguistic world. Next Gordon Clark’s Argument for the Existence of God from Truth. Pingback: Epistemology and the Emergent Church « Quid Est Veritas?